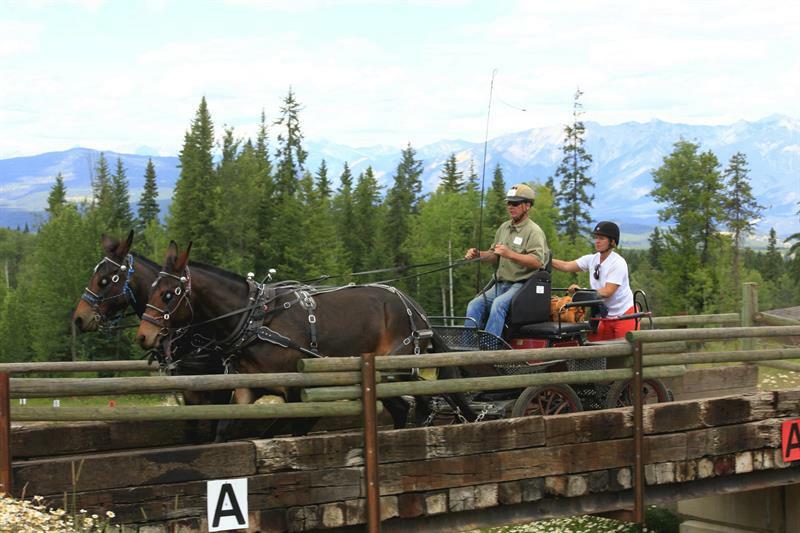 With breathtaking countryside, mountains and prairies Patty Carley from the Alberta Carriage Driving Association gives us an insight into carriage driving across Canada. I am writing to you from sunny Alberta, one of the western, Prairie provinces. As I write this in March, we are just emerging from a brutally cold February here, that made any equine activity except feeding pretty much unthinkable unless you had heated indoor facilities. As you read this in April, we will probably still have snow on the ground, and haven’t been able to take the carriages out yet. Ever since the settlers of New France took advantage of the frozen rivers and lakes for easier transport by horse-drawn sleigh, folks have been having fun racing on all that amazing snow. This tradition is most evident in Quebec where there is an active and very popular winter sleigh derby competition scene. The rules are similar to the indoor derbies, but take place outdoor on a packed snow surface. You are quite likely to see Canadian Horses competing at the sleigh derbies. The Canadian Horse (Cheval Canadien) breed is recognised as our National Horse, and having evolved from the working horses of the first French settlers, is well suited to driving. There are only a few thousand alive today, and the breed is considered endangered. To read the full article and discover more about carriage driving in Canada - the April issue of Carriage Driving is now on sale.